Jackpotcoin (JPC) is a new crypto coin that uses a new hash algorithm called Jackpot Hashing Algorithm (JHA) and thus requires special miner software in order to be mined. The coin has a CPU miner available, but we are going to be skipping this one as there is also a GPU miner available already. The OpenCL miner for Jackpotcoin is based on the official sph-sgminer, but since the official release is not yet available with JPC support you need to use the fork for Jackpotcoin for now (source code). we have compiled a windows binary from the latest source that you can download below, our test on a single Radeon R9 280X GPU showed a performance of about 2.2-2.3 MHS mining Jackpotcoin, so it seems that Nvidia is currently the better choice for mining JPC on the GPU. SPH-sgminer is a GPU miner for mining many alternative algorithm crypto coins such as DarkCoin, QubitCoin, MyriadCoin, Quark, Fuguecoin, INKcoin, AnimeCoin, GroestlCoin, Sifcoin, Twecoin and MaruCoin. 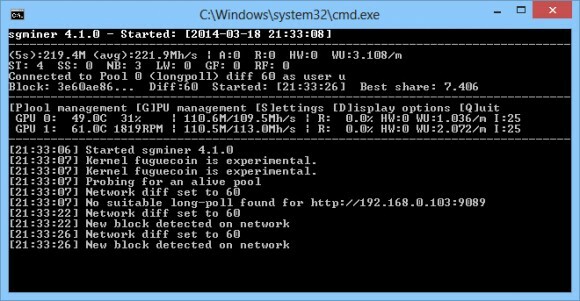 SPH-sgminer is a fork of the original sgminer, you can find the source code here and we have compiled a windows binary based on the latest source from April 15th. 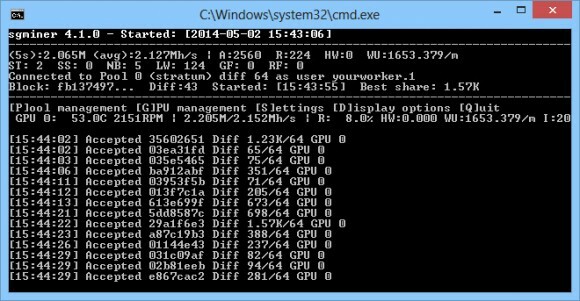 So if you are mining any of the above crypto coins or some of their clones based on the same algorithm you might download and try out the latest SPH-sgminer miner.